Your hair is made up of tiny overlapping cells that look like shingles. 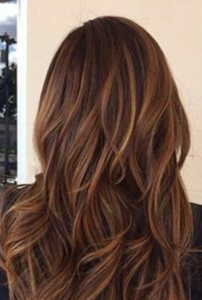 The key to having gorgeous shiny hair is all about keeping the cuticle smooth, or keeping these cells lying flat. Blow drying, curling, straightening and coloring hair are all things many women do to make their hair look more beautiful. Unfortunately, these activities can all damage the hair and over time, they can strip the shine from hair leaving it dull and even frizzy. Salon Prime offers a gloss treatment for the hair, which adds the shine back and can even strengthen the hair cuticle. 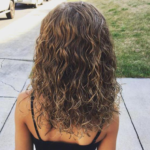 Women all throughout the United States have been getting gloss treatments at to make their hair look shinier and full of life. A gloss treatment provides translucent color and intense conditioning. A gloss will work with the variation of tone that you hair naturally has, allowing for a more subdued shade. It also automatically makes your hair super shiny and smooth. It can even reduce a little bit of frizz, and overall, your hair can feel like you had a conditioning treatment and color done at once. Hair design is a combination of craft, art, and heart. Our goal is to make a connection with you and truly get to know you and your likes and dislikes. Our team brings years of experience and provided by experience behind-the-chair and continued education, each member of our team is fully trained to educate you while serving as your beauty adviser. Our commitment to you is that you’ll not only look great leaving the salon, but that you can recreate your style at home. We use only the best professional products available, all ready for you to take home and help you maintain your look. In addition to our gloss treatment, we offer many other deep conditioning and bodifying treatments. 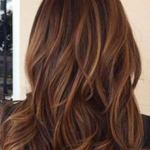 Communicate with your stylist on what would be the best for your hair.